A lovely vintage photo of a woman playing Faro. Like Lady Luck herself, she draws a crowd of men. 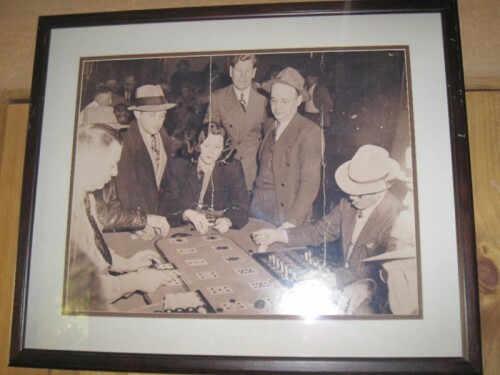 This authentic vintage casino photo is for sale from Hard Times Ranch . 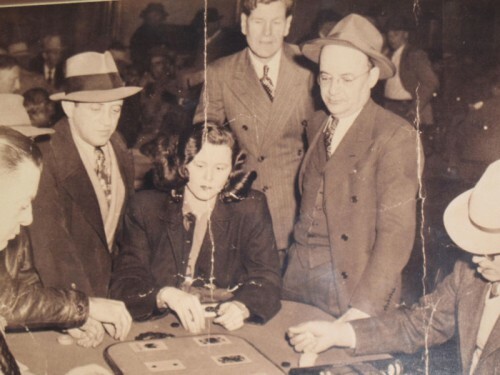 This entry was posted in Dames, Games, Shopping and tagged card games, casinos, collectibles, Faro, history, vintage. Bookmark the permalink.